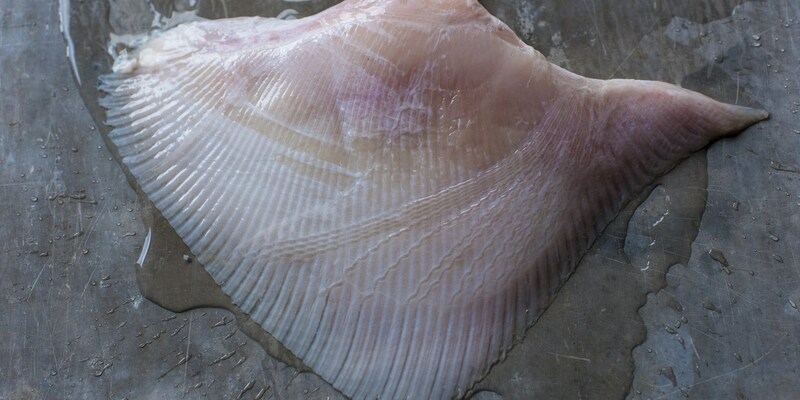 Skate is an underrated fish but can be found in most quality fishmongers. This large fish pairs well with delicate flavours, but can also balance out stronger tastes. Browse our stunning collection of skate recipes, including Marcello Tully's skate with chorizo recipe, which boasts all the flavours from the Mediterranean. Or for a elegant dish, try Laurie Gear's pan-fried skate with cauliflower and a delicious caper butter sauce. Fermented soy beans bring an exciting dimension to this poached skate wing recipe from Geoffrey Smeddle, which uses piquant chilli and warm ginger.